Version 7.1.0 of NetResults Tracker has been released. It adds support for SQL Server 2017 on Linux. Home and Query page reports include an option to search all fields (not just those in the report). The new (for 7.0) metrics display engine has been further enhanced with easier to read display of trend metrics and an option to specify precision in floating point display. Small icons have been replaced with font icons for faster page loading and improved clarity. It includes version 2 of the webhooks preview. Integrate Tracker with your own or third-party software. Use Notification Rules to custom configure calls from Tracker to other applications at key points in your workflow. Please review the 7.1.0 feature list for details. Upgrade instructions and download information are available on the downloads page. Use variables to include details like assignee or priority in the subject line of a notification message. The subject line of notifications triggered by actions performed in Tracker can be customized to include detail from the record that was modified. For example, the image above shows the subject line of a message that will be sent when a record is re-assigned. The Admin Help Guide contains a list of variables that can be used in notification rules. The notes below the table explain how to call out other fields not listed in the table (e.g. a pulldown other than status or assignee). For detailed steps on modifying rules, review the Notification Rules section. Alerts can be sent and repeated in 15 minute increments. If you're using Alerts to regulate response times, you can trigger notifications in 15, 30 or 45 minute increments in Version 7.0 or newer. You can set Alerts such that when a severity 1 issue is reported, it can trigger an alert every 15 minutes until someone takes action on the issue. 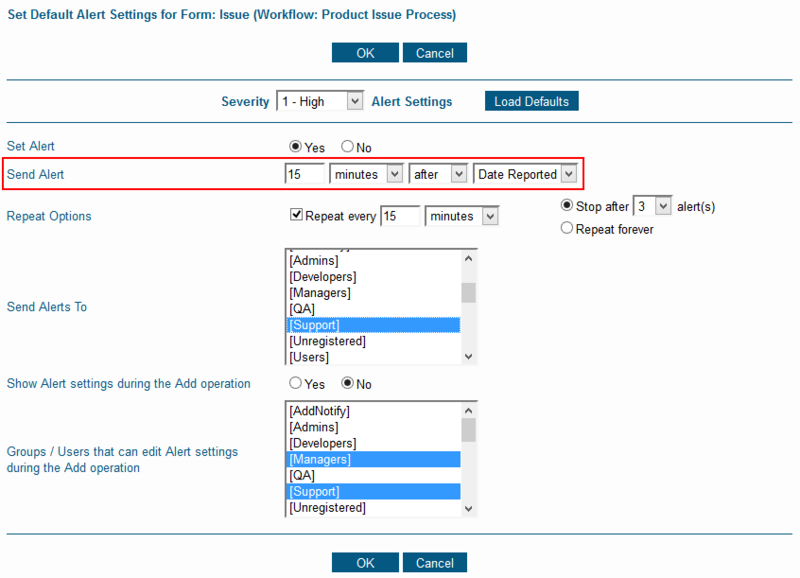 To configure alerts this way, check out the based-on alerts blog post for details. Information about upgrading to Version 7.0 or newer can be found on the downloads page. If you maintain an on-premises installation of NetResults Tracker 6.7.3 or older, please upgrade to the latest version ( download, upgrade instructions ) as soon as possible. Please upgrade so that your users can continue to access your NetResults Tracker installation with their preferred web browser as they are upgraded (many automatically). Unless your users are running Internet Explorer or Firefox ESR they are either already being affected or soon will be affected by continued use of an out-of-date version of NetResults Tracker. The details for each supported web browser are below. Users who upgrade to Firefox 54+ (planned to be released June 13, 2017) will be unable to login until Tracker is upgraded. While an upgrade is not required for Firefox ESR as it will stay on version 52 until at least Q1 2018, we do still recommend the upgrade to get the latest Tracker features and fixes. Users upgraded to Chrome 59 will see an "unsupported web browser" warning. Users can login after clicking through the warning. Users upgraded to Chrome 60+ (most likely released early July 2017) will be unable to login until Tracker is upgraded. Safari 10.1 users will be unable to login until Tracker is upgraded. Users upgraded to Edge 15 by the Windows 10 Creators Update should use NetResults Tracker 6.7.4 for the best experience. While an upgrade is not required for Internet Explorer 11 users, we do still recommend it to get the latest Tracker features and fixes. 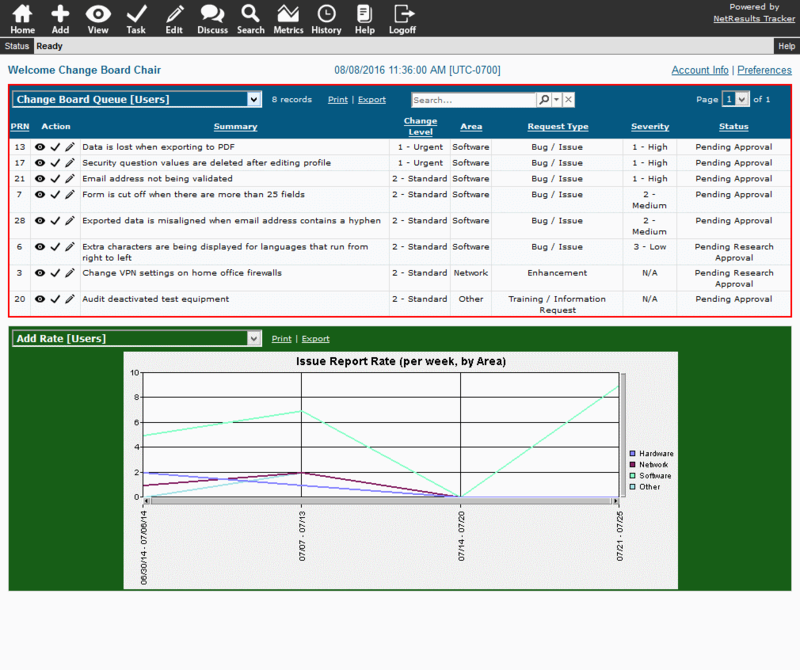 A Tracker report can organize the content for a variety of meetings: Change Board Review, Product Enhancement Review, Help Desk / Customer Support Triage, Task Force, Daily Scrum. Save a report layout that shows the fields you want to see in the report. For example, the Title/Summary, Priority and any other key information that should be available for quick reference. Select "Group" as the Type and select the group of users participating in the meeting so everyone participating in the meeting can access the information. 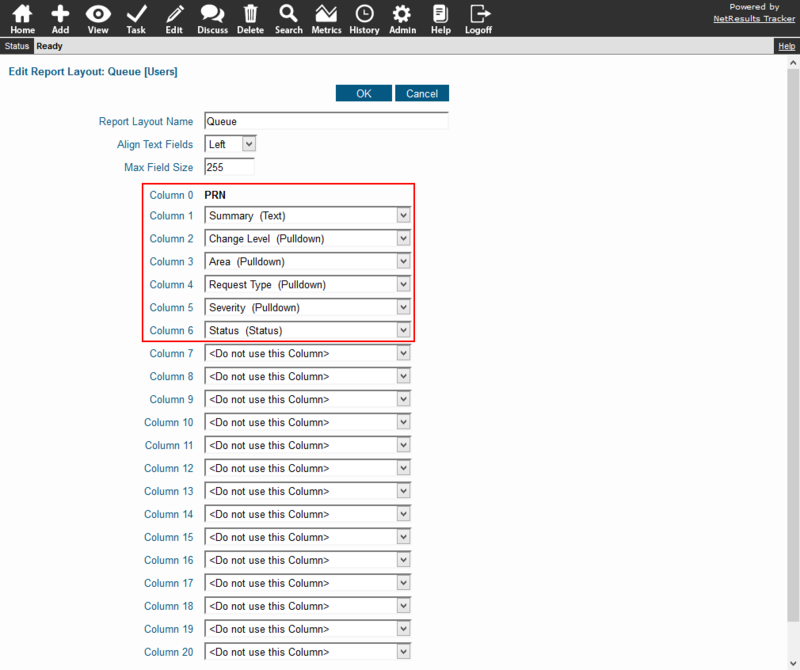 Details for saving a report layout can be found in the Using Saved Queries and Reports Help section. You might already have a report (e.g. 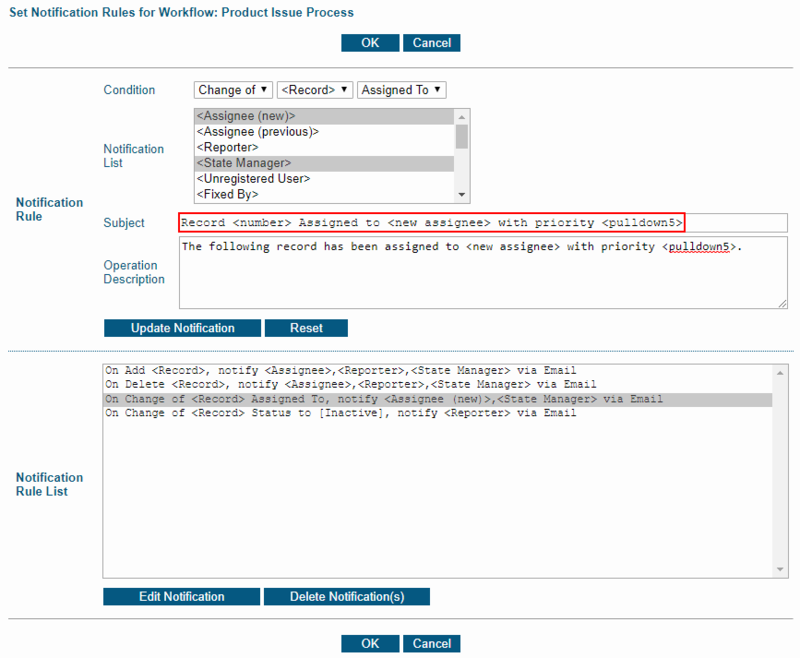 Change Board Queue, Help Desk / Support Queue, Product Enhancement List). If not, set up a saved query that will return the records to be discussed in the meeting. 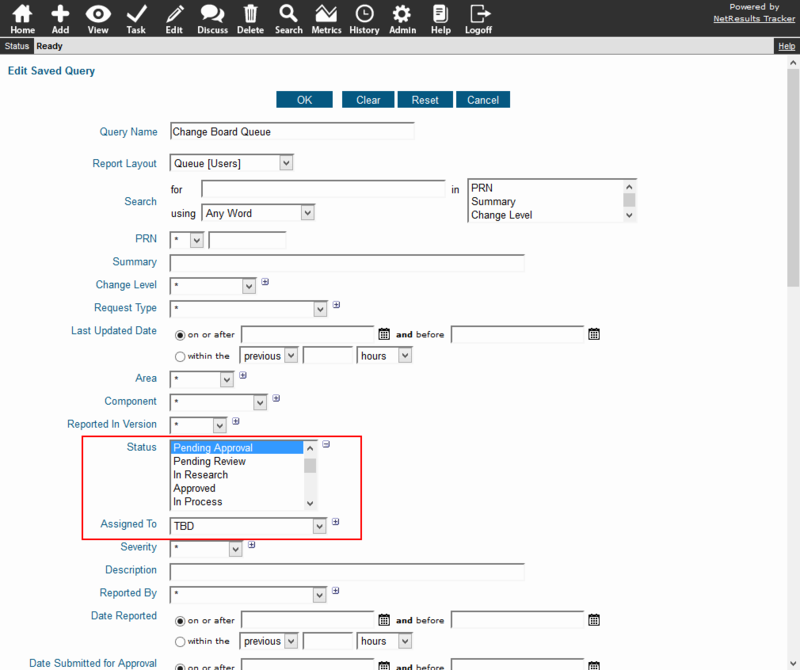 Steps for saving a report are in the Using Saved Queries and Reports section. You'll want to make this a "Group" report, too. © 2019 NetResults Corporation. All rights reserved.